United miniature hunting knives with genuine bone handles. 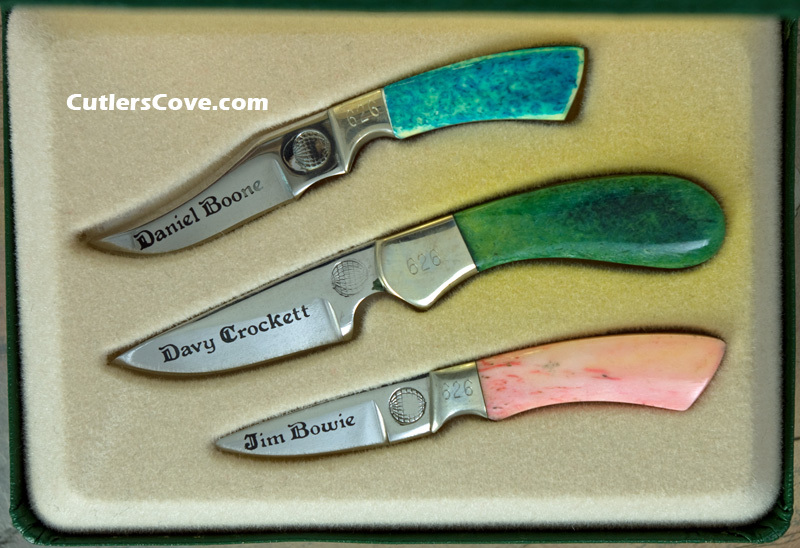 Fancy green display box marked Master of the Wilderness, Davy Crockett, Daniel Boone, Jim Bowie. All in mint condition. Photo image larger than life size.